Go With The Heat 96 – Honor Among Thieves? Honor Among Thieves is a classic cop drama story that is used again and again. The Miami Vice twist in this episode is 47 minutes of perfection… And about 30 seconds of bleh. Honor Among Thieves has intrigue, twists, turns and surprises and in general is a fantastic episode of Miami Vice. The GWTH crew love this episode! We are also thoroughly creeped out by our main villain. Melissa is completely creeped out by the clown doll Delgado acquires and wonders if all the dolls feel pain, or just the one he carries. John is impressed by the organizational skills of the local dealers and their “Legion of Doom” meetings. Dominic is concerned Crockett and Tubbs ruined their friendship playing too many games at Palmo’s (they might have played UNO!). 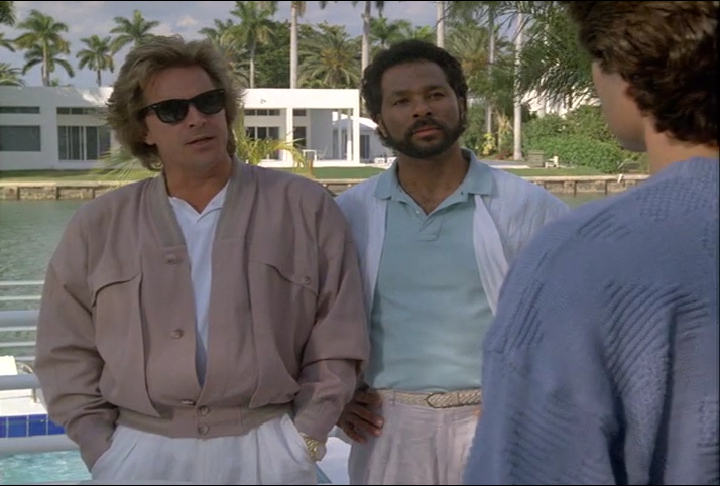 Its one of the best episodes of season 4 of Miami Vice. Miami Vice – Season 04 Ep. 16 – Honor Among Thieves?